Hayes Carlls list of accomplishments is long. His third album, 2008?s Trouble In Mind, earned him an Americana Music Association Award for Song of the Year (for "She Left Me for Jesus"). 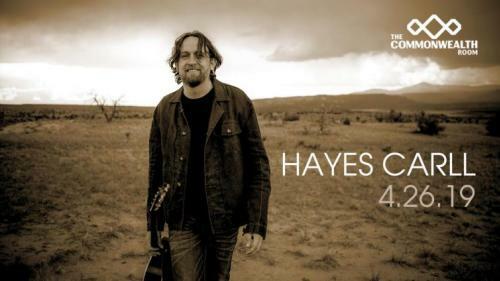 The follow-up, KMAG YOYO was the most played album on the Americana Chart in 2011 and spawned covers by artists as varied as Hard Working Americans and Lee Ann Womack, whose version of "Chances Are" garnered Carll a Grammy nomination for Best Country Song. 2016's Lovers and Leavers swept the Austin Music Awards, and was his fourth record in a row to reach #1 on the Americana Airplay chart. Kelly Willis and Kenny Chesney have chosen to record his songs and his television appearances include The Tonight Show, Austin City Limits, and Later w/Jools Holland. Carll is the rare artist who can rock a packed dancehall one night and hold a listening room at rapt attention the next.